Through its physical education activity requirement and offerings that carry academic credit, the College honors the "sound mind in a sound body" philosophy that is a landmark of a liberal arts education. Several opportunities for healthful activities are housed in the department of physical education which includes intramurals administration and the department of athletics in addition to the cadre of activity classes. A modified or otherwise specifically planned program will be developed by an advisor in the department for any student having a complete or partial restriction as indicated on that individual's health record. Students are urged to complete the requirement over the period of five quarters. Students may take as many PE activity classes as they desire, but only one unit, or five 0.2-unit activities, will be counted toward the graduation requirement. All activity courses may be repeated as often as desired, with the exception of PED 101, Mind/Body, and Outdoor Leadership which carry 0.4 units. One activity credit for physical education may be granted for each six months of military service or each quarter of ROTC training. In some instances students may receive PE activity credit for activity classes on study abroad, especially those indigenous to a particular culture. These credits must be certified through the Center for International Programs. Activity courses include various opportunities. Some courses require that students furnish their own equipment or transportation; some require a modest fee; but one can achieve the full unit with on-campus, non-fee courses. For on-campus fee courses, the fee is charged directly to the student account; for off-campus fee courses, the student pays the instructor as indicated on the course schedule. Course categories include Fitness, Dance, Sport Skill, Life Skill/Health, Outdoor, Independent Study, Varsity Sports, and Full Unit. Independent study activity credit is possible for any activity that is not offered on the course schedule, and for which the student has a certified instructor. All independent studies will need a faculty supervisor and approval by the chair. One academic, full-unit class is offered each quarter through the PE department. These classes are recommended for students interested in coaching, athletics, fitness, or leadership. PED002Badminton To learn the basics of Badminton and create an active and fun environment. PED003Basketball Instruction for all levels of skill in the fundamentals of basketball. Emphasis on the development and improvement of total fitness, skill and general knowledge about basketball for leisure time use. PED004Advanced Basketball Open to all students who wish to improve their offensive and defensive basketball skill set through high-level, intensive drills. Students should be prepared to participate physically with proper attire, footwear, and physical condition. PED008Equestrian Club Intro to Riding Students must contact the instructor for more information, provide own transportation, and pay lesson fees directly to Cedar Lodge. http://www.cedarlodge.com/ For students that have little or no experience with horses. Classes will focus on teaching basic ground and riding skills. This class will teach students how to be confident when handling horses both on the ground and while mounted. PED009Fencing An introductory course presenting the sport of foil fencing; the emphasis is on safety, skill acquisition and refinement, fun, and development of a healthy lifestyle. Basic Skills of footwork, attacking and defending with a sword are developed through a combination of lessons, drills, and supervised bouts. Also, briefly covered are the equipment used, the history of the different fencing sports, and an introduction to the rules which govern fencing tournaments. The lessons are determined by the interests of the advanced students. Topics may include advanced skills in footwork, attacks to the blade, advanced parries, or tactics. The class may work on other fencing sports such as epee, saber, or the reconstruction of Renaissance rapier combat. These are developed through intensive bouting and individual or small group instruction. Working with beginning fencers continues to reinforce basic skills and gives experience in coaching others. PED014Learn to Swim This class is designed to help those who cannot swim, learn the basics of the sport. This includes comfort level in the water, floating and basic swim strokes. This is an activity worth .2 units. PED020Beginning Racquetball This class provides students with appropriate level of knowledge and skills in racquetball. PED022Recreational Soccer Instruction and review of basic technical soccer skills. Playing experience in an organized environment is preferred but not required. PED024Indoor Rock Climbing This class is mostly self-directed and is held off-campus at Climb Kalamazoo. Students learn basic climbing and belaying techniques for climbing, and must participate in the safety training prior to climbing. PED027Scuba This class covers equipment setup and equipment breakdown, gear usage on both normal and emergency situations, and equipment-familiarization drills. Open-water training is conducted in local lakes or outside this area with special arrangements. Students who complete all requirements receive a lifetime SCUBA certification from the National Association of Underwater Instructors. PED033Beginning Tennis Learn many of the basic fundamentals and skills of tennis, as well as learning how to play the game in an enjoyable and active environment. PED034Intermediate Tennis Learn all of the basic fundamentals and skills of tennis, as well as learning how to play the game in an enjoyable and active environment. PED035Advanced Tennis Enhance established technical knowledge and learn the necessary competitive skills for singles and doubles in an enjoyable and active environment. PED036Ultimate Frisbee Club Sport Student must be a member of the club to elect to take this class. PED037Volleyball Learn basic volleyball skills and how to train for, and compete on a team. PED038Introduction to Track & Field Students will work together in a fun, safe, learn-by-doing format to develop a fundamental comprehension of the lifetime sport of track & field. We will incorporate instruction, practice, video analysis, and competition to 1.) refine each student's skills in the various disciplines of track & field (running, jumping, and throwing events); 2.) understand the training methodologies needed to improve personal levels of speed, strength, endurance, flexibility, and coordination throughout one's life; and 3.) cultivate an appreciation for the history, the contemporary stars, and the breakthrough performances of the sport that is the world's oldest and the modern Olympic Games' most popular. PED045Beginning Ballet An introduction to the fundamentals of Classic Ballet taught in the Vaganova Method (Russian Style). Emphasis will be placed on basic barre work followed by center work and floor combinations. Consideration will be given to body placement and ballet terminology. PED046Intermediate Ballet A continuation of Classical Ballet taught in the Vaganoca Method (Russian style) with further emphasis placed on more strenuous barre work, elements of dance history, and pre-pointe. Beginning Ballet I is a prerequisite or permission from the instructor. Prerequisite: Must have taken PED-045 or with instructor permission. PED047Ballet Company Technique Instructor approval required for this class. PED048Barre a Terre It is customary for Dancers to both "warm up" before class and to "stretch" afterwards. This class is specifically designed for Ballet Dancers to prepare the body for more intensive activity. However, the class is not exclusive to Classical Ballet and may be useful for those proficient in other forms of dance. Barre a Terre employs a system of non-impact, isometric movements to improve alignment, placement and stability. Exercises are preformed on the back, stomach, and side to strengthen and sculpt both the upper and lower body. These sessions provide a most tailored approach to develop core strength as well as facilitate longevity in the joints and muscles. Special attention is provided for prevention of injury through stretching to improve flexibility, balance, mobility, and toning. Attire: loose fitting, comfortable clothes. Hair must be secured and away from the face. PED049Beginning Ballet II This course continues the introduction to the fundamentals of Classic Ballet taught in the Vaganova Method (Russian Style). Emphasis will be placed on basic barre work followed by center work and floor combinations. Consideration will be given to body placement and ballet terminology.Prerequisite: Must have taken Beginning Ballet or with instructor permission. PED052West Coast Swing Dance West Coast Swing is a slotted partner dance, danced in six count patterns; however, no partner is required to take this course. During the course, students will learn the basic patterns of West Coast Swing: Left Side Pass, Under Arm Turn, Push Break, Front Tuck, Side Tuck, Basket Whip, Whip, Turns & the Starter Step. The benefits of this course will go beyond a physical skill set; students will also develop a greater sense of self-confidence, communication skills, and networking skills. PED055Jazz Dance Dance your way through the history of the truly American dance form, Jazz Dance. Through movement combinations and music, this class will start with the beginnings and work its way to present trends in jazz dance. This very active class is appropriate for dancers of all levels. PED056Wellspring Dance Classes Join Wellspring/Cori Terry & Dancers, the only professional dance company in Kalamazoo, for our Adult dance courses and earn PE credit. Our classes are taught by company members and other professional dance educators and span a variety of types. For the 10-week quarter, you will be able to choose your weekly class to fit your schedule and interests. This class is off campus. PED060Modern Dance Modern dance, established in the early 20th century, was the result of rebellion against the formal structure and rigid rules of classical ballet. Beginning with dancers like Loie Fuller and Isadora Duncan, modern dance is more grounded and uses the spine and breath more freely than ballet. This class will explore modern dance as it has progressed with a focus on contemporary modern dance that is influenced by many different techniques and styles. PED070Stage Combat This course provides a fundamental knowledge of several different styles of stage combat as well as an understanding of basic fight choreography for stage and film. PED082Advanced Conditioning Develop proper fundamental techniques in weight training. Show students the importance of teamwork in reaching fitness goals. PED084Adv Physical Training Boot Camp This 10- week course is designed to optimize your health using the five components of physical fitness: cardiovascular health, muscular strength, muscular endurance, flexibility, and body composition. PED085High Intensity Interval Training This class is designed to lead participants through a series of cardio and strength training exercises with relatively brief rest intervals in between. Open to all fitness levels and there will be emphasis on exercise safety, technique, progression and modification. The class will use a variety of equipment available on the fitness floor. PED089Conditioning & Speed This is an advanced level Physical Education class. It is intended to enhance one's strength, speed, agility, conditioning and overall athletic ability. PED092Developmental Swimming This course is designed to improve your comfort level in the water, your overall fitness and aerobic capacity, and is swimming on your own for fitness, logged and turned in on a regular basis. PED098inerTRAIN InerTRAIN is an online personalized fitness training service connecting real trainers to real clients using technology to remove the limitations of time and place so you can work out anytime, anywhere. PED100Kalamazoo Barre Kalamazoo Barre is an off-campus, fun yet challenging, 50-minute workout, inspired by ballet and Pilates. Certified instructors lead the classes which involve small, isometric movements that promote fat burning and interval training. PED107Pilates This course is designed to take you through the basic moves and components of a Pilate's class: concentration, breathing, quality, focus, body awareness, core control. PED108Equestrian Club Intermediate Riding Students must contact the instructor for more information, provide own transportation, and pay lesson fees directly to Cedar Lodge. http://www.cedarlodge.com/ For students with some riding experience, students that have already successfully finished the Intro to Riding class at Cedar Lodge, or students that have taken some lessons at another stable. To enter this class, students must already know how to groom, tack and ride with control at a walk and trot. Class will focus on developing existing skills to a higher level and learning new, more advanced technique. This class may be taken more than once. PED111AM Power Workout Start your day on a healthy foot in AM Power Workout! Classes will combines elements from many group fitness styles including yoga, Pilates, aerobics, circuit training, dance, and more. This efficient workout will build strength and flexibility while also burning calories. You will be charged up and ready to face another day! PED112Wake Up and Dance Get out of bed and dance your way to a better day! This class will include high-energy, dance-inspired workouts that are sure to boost your energy and be a blast! We will burn calories, have fun, and learn fun dance routines in a variety of styles! PED116Beginning Weight Training Are you looking to increase your strength and incorporate weight training into your fitness routine? This class is geared towards beginner strength & conditioning experience and knowledgebase. This class will develop your knowledge and selection of strength training exercises, technique, safety and workout design. PED117Advanced Weight Training Learn the fundamentals of weight training while helping each student reach their personal fitness goals. PED118Beginning Yoga The course provides a foundation in the practice of yoga as a holistic approach to health, vigor, and happiness. PED126Gardening Feel the benefits of gardening to your overall health (mental, physical); understand the fitness/wellness benefits of gardening and gain the basic knowledge and skills needed to grow vegetables that are 100% organic and non-GMO. PED127Pollinator Gardening In this course, students will engage in work needed to establish and maintain native wildflower plantings on campus, while learning about the different plants and the insect pollinators they attract. Most activities will take outdoors and involve low to moderate amounts of physical activity. No previous experience required. PED128Composting: Worms, Waste, & Well-Being Composting: Worms, Waste, & Well-being: Students will explore all aspects of the life-death cycle, and practice several food waste composting techniques such as vermicompost, trench compost, and hot compost, as well as learn about the key actors in the composting processes. PED129Permaculture: Designing With Nature In this course you will cultivate an understanding of permaculture fundamentals and apply these concepts to personal wellness, social relationships, and garden design. Students will develop individual personal wellness design projects and collaborate as a class to create a garden design project that they will implement during Spring quarter.Prerequisite: Must have taken Permaculture PED 129. PED132Holistic Nutrition The objective of this course is for students to learn the impact of different types of foods, beverages and supplements on their bodies, from energy levels to muscle mass to brain function, inflammatory levels, digestion and more. Students will learn how to apply foundational nutrition principles to best fuel their bodies. They get to be their own n=1 "experiment" and will come away with important insight regarding how best to nourish their unique bodies to achieve their desired level of health and wellbeing. This course will be offered entirely online through the software platform Healthie. Healthie is a HIPAA-compliant platform that allows the instructor to teach students via a live webinar format. Students can access the webinars via their computer or the Get Healthie app. Detailed instructions for how to attend the webinars will be sent to students prior to the first week of class. A new webinar will be offered each week at 3 different time slots. Mondays at 12:15 Tuesdays at 2:15pm Wednesdays at 4pm Students must attend one of those time slots each week in order to receive credit for that week's webinar. Webinars are approximately 40 minutes in length. PED135Mind/Body I This course is a combination of classroom and individualized activity that focuses on personal health and recognizes a fit and active lifestyle. It is worth 0.4 credits. PED136Mindfulness The emphasis of this course will involve learning from experience. The experience made available here will be contemplative (or meditation). The course is designed to cultivate an appreciation for everyday experiences and to live in the present moment. This course will involve how each of us can enhance our well being through inward reflection and self-awareness. PED150Smoking Cessation This class increases awareness of smoking behavior, to provide strategies and support of cessation, and to increase fitness levels of participants. PED151Step Up! Be a Leader, Make a Difference Step Up! is a prosocial behavior and bystander intervention program that educates students to be proactive in helping others. This is an activity worth .2 units. PED155Tower Bell Ringing Stetson Chapel houses one of only 53 English change ringing towers in North America and the only one in the state of Michigan. Change ringing is a team sport, a musical performance, an ancient art, and a challenging pattern-based exercise that involves a group of people ringing a set of tuned bells rhythmically through a series of changing sequences that are determined by mathematical principles. Despite the fact that the bells are heavy (up to a half-ton in Stetson's tower), change ringing is more mental than physical, but you don't have to be an athlete, a mathematician, or a musician to learn. Instruction is one-on-one in conjunction with attendance at weekly practices of the Kalamazoo College Guild of Change Ringers. Open to first-year students and sophomores or with the instructor's permission. PED175Outdoor Leadership The Outdoor Leadership course builds on an individual's outdoor skills to further develop proficiency in group dynamics, leadership, map and compass, trip planning, and outdoor living. Participation in one weekend trip is required. After successful completion of the class, participants will receive a nationally-recognized Leave No Trace Trainer certificate. PED177Snowshoeing This activity-based class will focus on preparing students for winter outdoor travel, with weekly trips to local hiking and snowshoe trails (snow dependent). Students must provide their own winter boots and clothing. Snowshoes will be provided. PED180Intro to Canoeing The Intro to Canoeing course offers students the opportunity to hone their flat-water paddling skills. The class will focus on learning and practicing paddling strokes and canoe rescues. All abilities welcome. Paddling sessions will occur around Kalamazoo. PED205Recognition of Sport Related Injuries An introduction to the primary mechanisms of athletic injuries, response to injury, and the inflammatory process. Material specific to identifying etiology, anatomy and physiology, signs, and symptoms of common sport-related injuries and illness. Students will be expected to critically interpret athletic training literature relevant to sports. Text books required for class. PED208Equestrian Club Advanced Ridin Students must contact the instructor for more information, provide own transportation, and pay lesson fees directly to Cedar Lodge. http://www.cedarlodge.com/ For students that are proficient in riding english at a walk/trot/canter while maintaining control in a group. Students should already know their leads and diaganols. This class will be working at a faster pace and students should be ready to work at a demanding level both on their skills and physically. New students will need to be approved. PED210Nutrition Examination of nutritional systems and healthy eating habits for a program of lifelong living. This class contains components of biology, microbiology, food chemistry, human nutrition and metabolism. This is worth 1 academic unit and does not count towards the PE activity requirement for graduation. PED593Senior Individualized Project Each program or department sets its own requirements for Senior Individualized Projects done in that department, including the range of acceptable projects, the required background of students doing projects, the format of the SIP, and the expected scope and depth of projects. 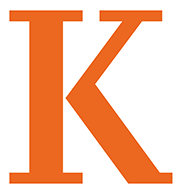 See the Kalamazoo Curriculum -> Curriculum Details and Policies section of the Academic Catalog for more details.Prerequisite: Permission of department and SIP supervisor required.